This cheese cutting machine is built to slice wheel-shaped cheese products into wedges and block-shaped cheese products into squares or rectangles. The machine is servo-driven and controlled by a touch screen to save cut patterns, speeding up the change over time between product runs. Using this machine means that no matter who is operating the cutting process, the portions are always the same. 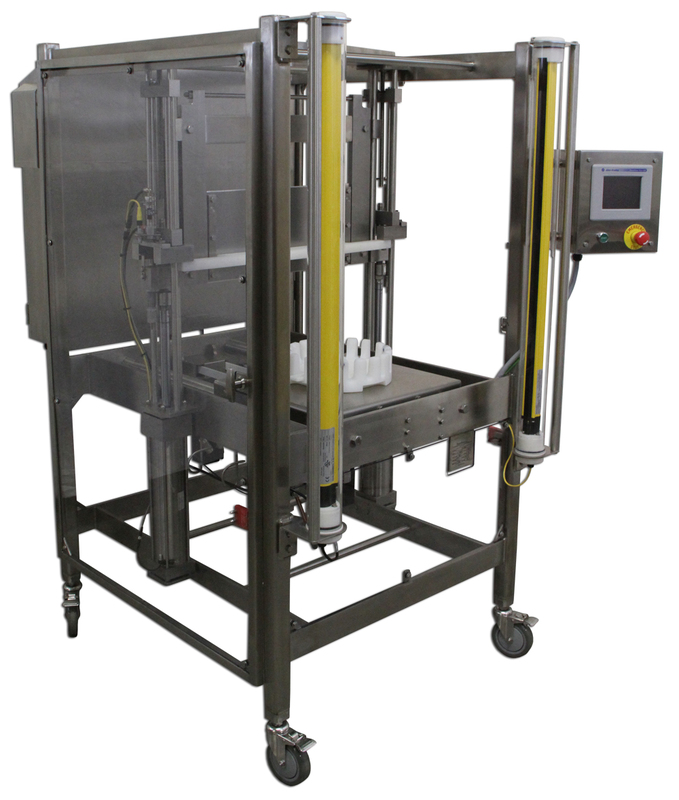 The machine is built for the cheese industry, is WDATCP accepted, and is designed to USDA standards. This cheese slicer is great for an industrial production facility with the need to cut and slice many different types of cheese into many different configurations of portions. See other cheese slicing results here.